Retired U.S. Air Force Gen. Ellen Pawlikowski, former commander of the Air Force Materiel Command, has joined Raytheon’s (NYSE: RTN) board of directors. Thomas Kennedy, chairman and CEO of Raytheon and a two-time Wash100 awardee, said in a statement released Thursday that Pawlikowski brings technology and national security experience as the company looks to align business efforts with the National Defense Strategy and grow operations worldwide. 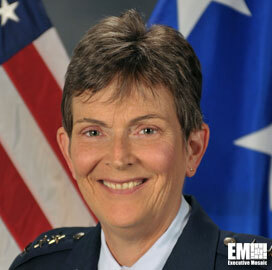 As head of the Air Force Materiel Command, she oversaw the deployment of science and technology systems to support warfighters, as well as managed the full life cycle of weapons systems and the supply chain. She also held several technical management, leadership and staff roles during her 40-year career in the military, such as deputy assistant to the Secretary of Defense for counterproliferation, director of the airborne laser program and commander of the space and missile systems center, among others. Pawlikowski graduated with a science degree in chemical engineering from the New Jersey Institute of Technology and a PhD in chemical engineering from the University of California, Berkeley.